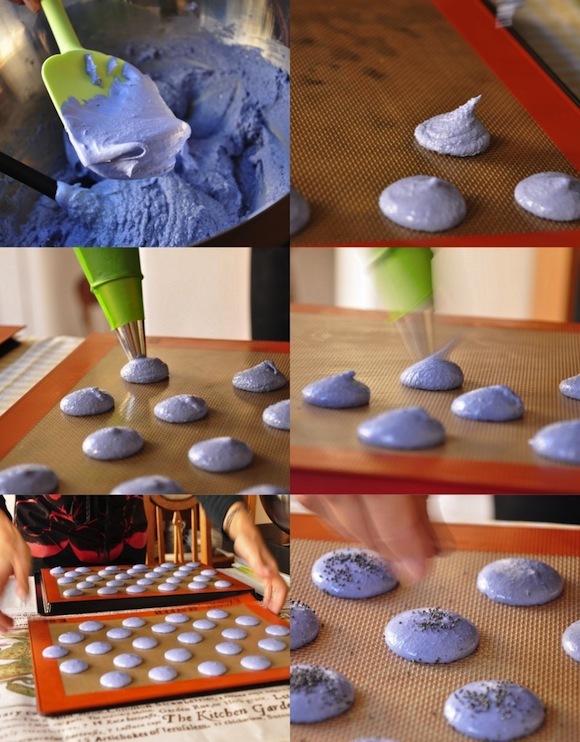 Pipe the macarons (with a pastry bag fitted with a plain 1 cm tip) on a baking sheet with a non-stick liner. For this recipe, my macarons measured 4cm in diameter. Tip the baking sheet slightly for an even final result. Let them sit until they are no longer sticky when you touch them lightly. 1. The syrup should be folded with the whites at 118°C, this is why we remove it from the heat at 115°C….three more degrees will be reached by the time you move the saucepan from the stove to the stand-mixer. 2. If you use two baking sheets, instead of one (one on top of the other), you will prevent excessive drying…. Lost in Cheeseland reports on the 2012 Macaron day in Paris! Written by Cristina Lasarte for the HiP Paris Blog. All images by Cristina Lasarte. Looking for a fabulous vacation rental in Paris, London, Provence, or Tuscany? Check out Haven in Paris. I am so excited to make these!!! I might add some capers inside as well! I’ve very little expertise in programming however I had been hoping to start my own blog soon. Here (The Netherlands) in chique restaurants it’s common to serve savory macrons as an amuse. Delicious! What kind of coloring product do you use? Did someone tried to do them ? I much tempted, I confess… =) I would have never thought about mixing these flavors. Those look divine! Are they sweet or savory? 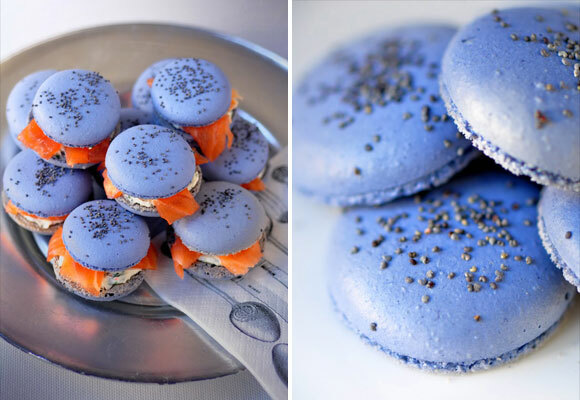 they are beautiful although I think I would get a little bit of shock biting into salmon filling! Thanks a lot, Hip Paris, for giving me “a window” in your amazing blog…and for introducing me to your readers! I am instantly in love with your site!! It is just so beautiful. 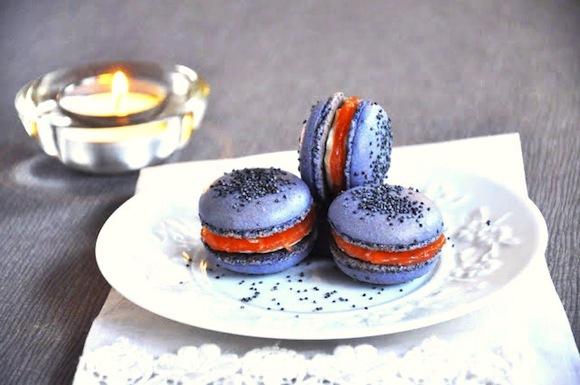 I love the idea of your gorgeous purple macarons with salmon filling!! I will have to try them for myself. I know I will be a regular visitor as I love all things French and really need a French holiday again soon, your blog will be my holiday until then. 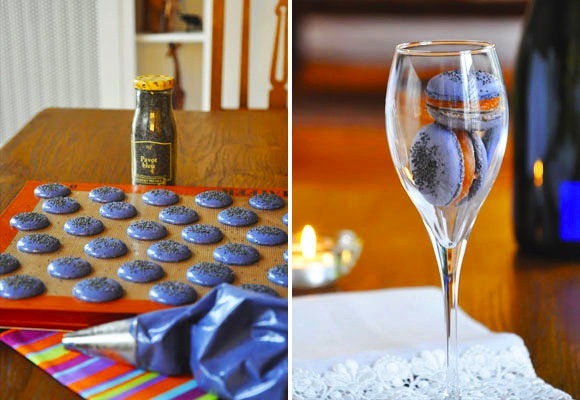 learning how to make macarons is next on my list – this looks awesome!